Daniel Candeias was sent off by Collum last week. 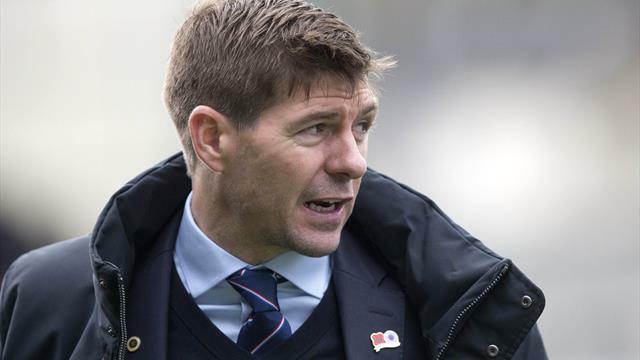 Rangers boss Steven Gerrard insists he has no personal issue with Willie Collum but called for “common sense” to prevail following the referee’s dismissal of Daniel Candeias last week. The 30-year-old was sent off by Collum soon after Rangers scored a second goal in stoppage-time of the 2-0 win at St Mirren although footage appeared to show Anton Ferdinand had been the aggressor in a clash with the Gers player seconds earlier. The Ibrox club released a statement on Thursday announcing it would make a formal complaint over Collum after losing their appeal against Candeias’s second yellow card. However, ahead of the visit of Motherwell in the Ladbrokes Premiership on Sunday, which Candeias will miss, Gerrard said of Collum: “I think he is a good referee in general, he has been picked by UEFA to be a referee. “It is not a personal issue at all. We all make mistakes, we are all human. “It is my responsibility to support the referees and officials in this country, it is not a big talking matter. “It is just a clear mistake and we are trying to get it resurrected and we see how it pans out. “I just think we need common sense in the game and if mistakes occur we should have a panel in place to resurrect them, not just from a Rangers point of view from a football point of view. “No, that’s an on-going matter. “You have seen the statement that the club have realised. I haven’t got any more to add to the statement only that I am disappointed with the outcome. “I was hoping common sense would prevail, it hasn’t so far. “So we carry on pursuing it as a club.